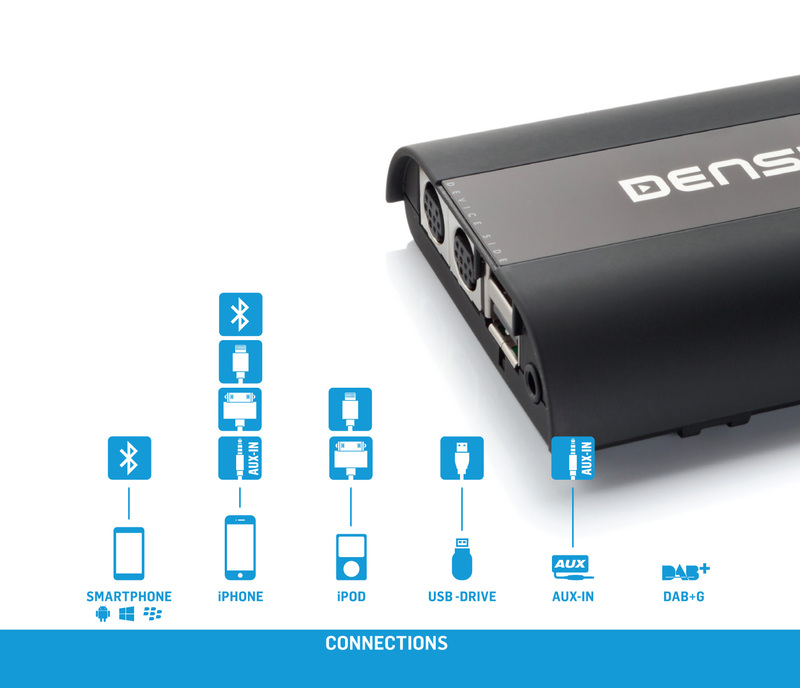 Dension Gateway 500S (Dual FOT) adapter is all-in-one interface allowing you to connect and control iPod/ iPhone via multimedia system, playback music from USB devices or paired phone and perform hands-free calling via Bluetooth. Dension 500S BT is designed for MOST bus head units of Audi, BMW, Mercedes-Benz and Porsche. Note! iPod / iPhone cables are not supplied with the adapter. Please choose the required cable among the related products listed below or in the Dension Accessories category. Note 1. Steering wheel controls are required for proper phone functions at MMI2 Basic. Note 2. Phone features are expected to be made available by Q3 2015. Note 3. For Bluetooth phone option, the head unit must have a phone button. Dension Gateway 500 GW51MO2 Dension Gateway 500 MOST adapter allows you to co.. The Lightning adapter for Gateway (LIA) is an optional accessory for Gateway Lit..
Dension Gateway 500S BT Dension Gateway 500S (single FOT) adapter is all-in-o..
Dension Gateway 500S Want to listen to hours (days) of uninterrupted music? H..